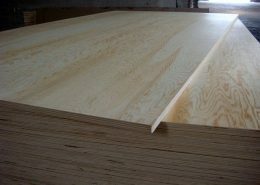 http://lumber-one.com/wp-content/uploads/2016/05/adcfa179-999f-4a83-9bcf-e3afccfda71b_398_306.jpeg 306 398 LumberOne http://lumber-one.com/wp-content/uploads/2018/08/Lumber-one-300x80.png LumberOne2016-03-31 21:21:132016-06-15 14:26:56Pole Barn Specialists! http://lumber-one.com/wp-content/uploads/2016/05/06db5b78-5705-416e-993d-31dd7f0e13d4_387_398.png 398 387 LumberOne http://lumber-one.com/wp-content/uploads/2018/08/Lumber-one-300x80.png LumberOne2015-11-27 21:43:062016-06-15 18:32:01Check Us Out on Houzz! http://lumber-one.com/wp-content/uploads/2016/05/d337b28f-9012-49fe-9a55-6619a7d79b1d_398_299.jpg 299 398 LumberOne http://lumber-one.com/wp-content/uploads/2018/08/Lumber-one-300x80.png LumberOne2015-08-17 21:38:252016-06-15 18:33:59Places to See, Things to Do!